Silver-tipped for consistent expansion and maximum energy transfer. 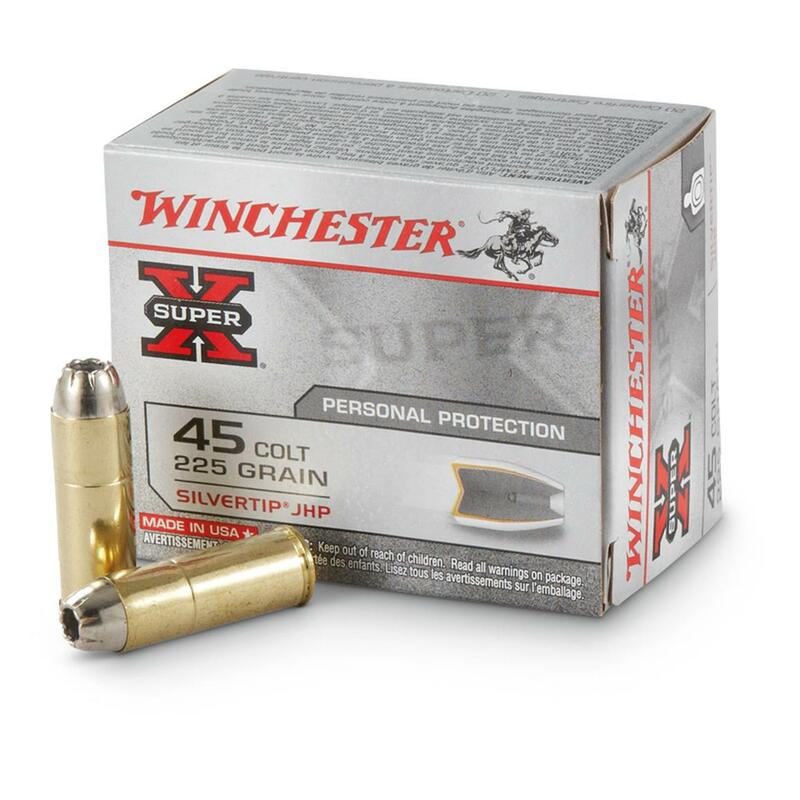 Order your Winchester® Super-X® personal protection ammo right here! Winchester Super-X, .45 Colt, Silvertip HP, 225 Grain, 20 Rounds is rated 4.9 out of 5 by 28. Rated 5 out of 5 by Labguy from Accurate and mild recoil. Shot a 3 inch group at 15 yds off hand.better than I expected from a hand gun. Will review again after gun is broken in. Rated 5 out of 5 by Wagonmaster from Reliable Warhorse More CAS participants are using their SAAs as carry guns because they're familiar with them and shoot them accurately. The problem is, cowboy loads make anemic defensive rounds. Enter an old favorite for LEO, the Winchester STHP. Boosting MV to 920 fps, the expanding bullet is sure to open and at 423 ft-lbs ME, the lead core penetrates better than the average 45 ACP. "Five for sure" (6 if it's a Ruger) plus the STHP makes your SAA Colt or clone a formidable defensive tool again. Hard to find, but when you do, grab some boxes and SG's price is hard to beat. Rated 5 out of 5 by Killer Gunny from Great Product was surprised how fast they got here. Rated 5 out of 5 by Pathfinder from Excellent value,price and quality. Always quick order and shipped promptly.Great selection on any type ammo.Will buy more. 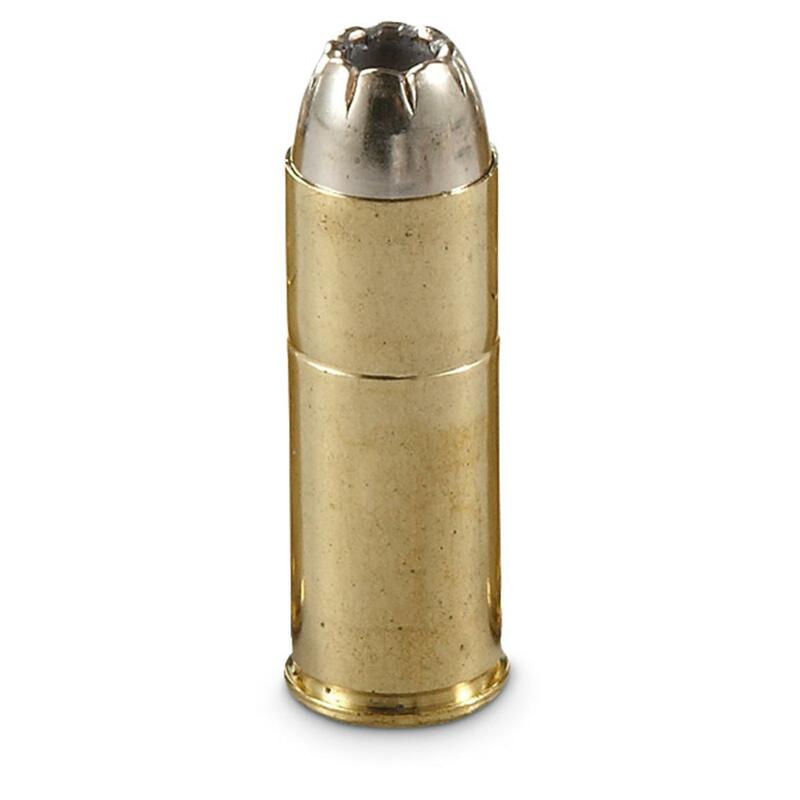 Rated 5 out of 5 by Doc Payne from high quality high quality ammo. reasonable price. Rated 5 out of 5 by Steve in PA from Accurate, good penetration I compared this load with several others (Corbon, HPR, Doubletap, and a couple of cowboy loads). Its accuracy is tops, and penetration is excellent. This will be my standard load for CCW in my Taurus Judge Public Defender. I absolutely recommend this.